Google is making some serious changes to Search. The main aim is to bury the bad results from bogus sources, promoting accurate results from authoritative sources. Google is also promising to be more transparent about its products, and by announcing this it’s clearly off to a good start. The internet has changed everything. It means that everyone now has access to more information than they could ever want, and it’s all just a click away. 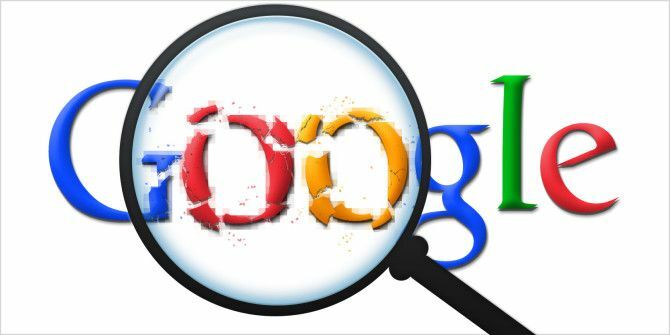 Unfortunately, we rely on gatekeepers such as Google More Than Search: 5 Things Google Has Done For The World More Than Search: 5 Things Google Has Done For The World Google has come a long way since starting up as a rinky-dink search engine that played second fiddle to what Yahoo! had to offer. If you’re the average person, you’re probably using Google in some... Read More to surface the most relevant information. And that doesn’t always happen. After receiving complaints that it was putting fake news What Is Fake News and How Does It Spread So Quickly? What Is Fake News and How Does It Spread So Quickly? Fake news is plaguing the internet and the worst part is that most people can't recognize it when they see it. Read More , conspiracy theories, and offensive opinions at the top of results, Google has declared it’s improving Search. In order to achieve this it has updated its algorithms, developed new guidelines, and built new feedback tools. The first thing Google is doing is making changes to how it chooses what content to surface. This involves a) adjusting its signals to rank more authoritative sources higher up its results while deranking low-quality content, and b) giving new guidelines to the human evaluators identifying areas in need of improvement. Next, Google is making it easier for people to flag bad content. Google states that anything which appears in Autocomplete 12 Interesting Google Suggest Results & What They Reveal 12 Interesting Google Suggest Results & What They Reveal Google Search is the modern world's confessional. Whatever it is that we need help with, we just type it into the patient white search box and hope for relevant results. Google even helps us complete... Read More or Featured Snippets is generated algorithmically. Which can often produce bad results. New feedback mechanisms will now allow you to flag content you feel has been surfaced without merit. Lastly, and on a wider note, Google is promising to be more transparent about its products. To this end, the company has updated its How Search Works microsite. These changes all seem decidedly sensible. However, Google Search still won’t be perfect. Google sifts through so many articles from so many sources that the odd mistake is bound to happen. And when it does you can be damn sure some tech site or other will roast Google for that one algorithmic error Can Google Use an Algorithm to Determine Truth? Can Google Use an Algorithm to Determine Truth? Google is researching whether its algorithm could include truth as a ranking factor. What does that mean for the web? Read More . Do you still use Google Search on a regular basis? Are you generally pleased with the results? How often do you see fake news or unreliable sources on the first page? What do you think of Google’s new efforts to bury bad news? Please let us know in the comments below! Explore more about: Fake News, Google, Google Search. ALL news is "fake news." Information is power, and nobody spends money just to give away information unless they have an interest in you believing what they are telling you. Despite any "improvements," Google still tries very hard to control what its users get to see and do. Yet they "fail," [oops! ]in so many technically non-challenging areas that it must be by design. For instance, you STILL cannot sort the contents of your Google Drive by size, so you can see what is taking up the most space and easily move or delete it. And WHY does it take five minutes to U/L a 500MB file to your Drive, but D/L'ing a f! !cking .jpg takes 40 minutes?!? No exaggeration, here: Just yesterday I U/L'ed a video from my device in five minutes, then tried to D/L a PICTURE FILE from that same drive, on that same device from the same connection and it took 40 GD MINUTES. These issues are NOT accidental. They are trying to FORCE users to purchase storage by holding their data hostage. And just who at Google, or writes the algorithm, that determines what the truth is? I want to decide for myself. I still have "critical thinking" abilities. Haven't we got enough CENSORSHIP already? You COULD do something about the "bomb making", ISIS recruitment, and other destructive content on YouTube.